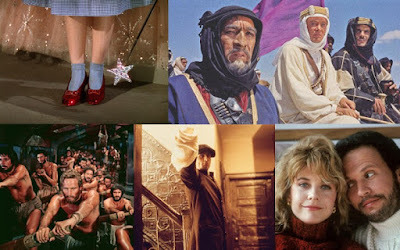 Tickets for all films in the 2019 “TCM Big Screen Classics” series can be purchased beginning Friday, December 7, online by visiting www.FathomEvents.com, or at participating theater box offices. A complete list of theater locations will be available December 7 on the Fathom Events website (theaters and participants are subject to change). The Wizard of Oz (1939) – 80th Anniversary from Warner Bros.
Based on Harper Lee’s Pulitzer Prize-winning novel, the spare and eloquent To Kill a Mockingbird captures a time, place and mood with astonishing precision. Its Oscar®-winning screenplay by Horton Foote and direction by Robert Mulligan led to enormous critical acclaim, and the luminous central performance by Gregory Peck led not only to the Academy Award® for Best Actor, but to Atticus Finch being named the single greatest hero of all time in the American Film Institute’s “100 Heroes & Villains” poll. To Kill a Mockingbird also launched the career of Robert Duvall, who plays “Boo” Radley in this evocative, nostalgic look at American ideals through the eyes of a child. Ben-Hur (1959) – 60th Anniversary from Warner Bros.
A monumental epic, Ben-Hur is very rarely experienced in the way it was intended, as a massive feat of motion-picture craftsmanship. The production encompassed 300 sets, nine sound stages, an eight-month production and thousands of actors, including more than 365 speaking parts. More than 1.1 million feet of film were shot, and the result was an unrivaled spectacle from director William Wyler. Starring Charlton Heston, Jack Hawkins, Haya Harareet and Stephen Boyd, Ben-Hur went on to become a film legend, with a box-office gross that would equal nearly $1 billion in today’s dollars, in addition to 11 Academy Awards® – a record-breaking feat no film would match for nearly 40 years. The towering and eminently entertaining Western True Grit celebrates its 50th anniversary in 2019. Called “a masterpiece” and “one of the most delightful, joyous, scary movies of all time” by Roger Ebert, the film stars Hollywood legend John Wayne as the unforgettable U.S. Marshal Reuben J. “Rooster” Cogburn, a role that won him the Academy Award® for Best Actor in a Leading Role and his only Oscar® after 40 years on the big screen. Directed by Henry Hathaway, True Grit pays homage not only to the great Westerns that came before it, but also to Wayne’s larger-than-life film presence. Sally Field, Dolly Parton, Shirley MacLaine, Daryl Hannah, Olympia Dukakis and Julia Roberts star in this gem of a comedy that was not only a box-office hit, but helped rocket Roberts into the stratosphere of Hollywood super-stardom in just her third major role – for which she received her first Oscar® nomination. She plays one of the residents of a fictional Louisiana town, based on Natchitoches, the hometown of screenwriter Robert Harling, who wrote the play on which the film is based. Directed by Herbert Ross and produced by Ray Stark, Steel Magnolias generates laughter and tears in equal amounts, celebrating the strength and bonds of unforgettable women who unite in the face of tragedy to provide unconditional love and support. After 50 years, it’s so nice to have Hello, Dolly! back where she belongs: on the big screen, in this spare-no-expense adaptation of the Broadway sensation. Barbra Streisandstars as matchmaker Dolly Levi as she attempts to find a wife for “half-a-millionaire” Horace Vandergelder (Walter Matthau). Director Gene Kelly transforms Hello, Dolly! from a Broadway comedy to a lavish motion picture that also stars Michael Crawford as Cornelius Hackl and features an appearance by music icon Louis Armstrong. Hello, Dolly! has found recent fame as the favorite movie of Wall-E in the Disney-Pixar film; now fans of all ages can enjoy it in all of its big-screen splendor. At once sophisticated and adventurous, literary and epic, and always strikingly visual, Lawrence of Arabia is a majestic accomplishment. It’s truly a film made to be seen on the big screen, with breathtaking cinematography by Freddie Young, set to a lush and inspiring musical score by Maurice Jarre. Peter O’Toole stars as T.E. Lawrence, the British soldier who unites the Arabic Empire to fight against the Turks. Alec Guinness, Anthony Quinn and Omar Sharif co-star – and yet it’s the vast, unforgiving expanse of the desert that steals the show, with its impossible landscapes and mysterious beauty. Lawrence of Arabia won seven Academy Awards®, including Best Picture and Best Directorwith screenplay by Robert Bolt and Michael Wilson, produced by Sam Spiegel and directed by David Lean. The Shawshank Redemption (1994) – 25th Anniversary from Warner Bros.
Based on a short story by Stephen King, The Shawshank Redemption was well-received when it was released in 1994, but perhaps no one could have anticipated that the movie would become so beloved that it remains at the top of IMDB’s user-generated list of most popular movies ever made. Tim Robbins stars as Andy Dufresne, a banker sentenced to two consecutive life sentences for the murder of his wife, and Morgan Freeman plays prisoner Ellis “Red” Redding in the seven-time Oscar®-nominated film written and directed by Frank Darabont. Added in 2015 to the Library of Congress National Film Registry, it’s a movie with a rare power to move and inspire audiences. In space, no one can hear you scream, but in the summer of 1979, everyone could hear audiences screaming as they experienced the terror of director Ridley Scott’s science-fiction/horror masterpiece. Working from a screenplay by Dan O’Bannonand a story by Dan O’Bannon and Ronald Shusett, Alien is a film dripping in dread. Sigourney Weaver, Tom Skerritt, Veronica Cartwright, Harry Dean Stanton, John Hurt, Ian Holm and Yaphet Kottoare the crew members of the Nostromo, which investigates a mysterious signal coming from an unknown planet. When they unwittingly take an alien creature aboard the ship, they have no idea just how terrifying – and deadly – the ordeal will be. Director Francis Ford Coppola’s brilliant follow up to The Godfather continues the saga of two generations of successive power within the Corleone family. Coppola tells two stories in Part II: the roots and rise of a young Don Vito, played with uncanny ability by Robert De Niro, and the ascension of Michael (Al Pacino) as the new Don. A movie of staggering magnitude and vision, The Godfather Part II received six Academy Awards®, including Best Picture, and is widely considered the best sequel ever made. When Harry Met Sally… (1989) – 30th Anniversary from Warner Bros. There are rom-coms… and then there’s When Harry Met Sally… .Though it was hardly the first film that brought together romantic opposites and let the sparks fly, director Rob Reiner’s charming comedy is something special. That’s in part because of the brilliant screenplay by Nora Ephron – but it’s also because of the winning chemistry between lead performers Meg Ryan and Billy Crystal, who become best friends when they drive from New York to Chicago and Harry claims that women and men can never be “just friends.” Over the years, Harry and Sally keep running into each other and claiming they are just friends … until a climactic New Year’s Eve party, which brings both the film and the 2019 TCM Big Screen Classics series to a memorable close.